Jobco’s team of experienced Construction Management Services professionals has built a reputation for quality, excellence and professionalism since our launch in 1950. Our mission is the same as yours: to promote the success of your project from start to completion. Our tradition of excellence begins with a detailed cost estimate and accurate estimation process to ensure adherence to the project budget. 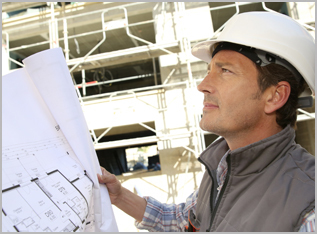 Our construction management team also promotes a strict project schedule and safety of all workers. Jobco ensures an easy and efficient construction process delivered on-time, within budget and beyond quality standards in compliance with local building codes and in safe and livable condition. We cover every aspect of construction management with the painstaking attention to detail you would expect from reputable team. From the beginning of construction, Jobco’s team will work together with you, your architect and engineers to ensure that all stages of the work are effectively controlled for an efficient and successful project. In fact, whether you are an owner, designer, contractor or company representative, rest assured that Jobco will only utilize the best available resources to maximize the successful outcome of a project. Detailed Estimating: Detailed cost estimating services at the start of each project identify any disparity between the estimated budget and our client’s budget, before any time or money has been invested in design development. Project Bidding and Buy-Out: Critical to the accurate estimation process is the bidding out of key tasks that we don’t handle internally, and our buyout estimate is used to order materials once the project is a viable “job” for the contractor or subcontractor. Field Supervision: Our experienced superintendents supervise all construction projects in the field, simultaneously keeping in mind the client’s needs, adherence to the budget and schedule, and safety of all workers. Scheduling: A project schedule is followed from the beginning of the design phase and throughout every construction phase until completion. Requisitions and Payments: Keeping projects on or below budget requires strict scrutiny of all requisitions and payments, so that whatever is specified in contracts associated with the job (such as requested items and quantities) is delivered. Punch Lists: Jobco’s staff will prepare a detailed punch list to assure that all corrective and completion work is done in a timely manner. Lien Waivers: Although a routine part of construction contracts, Jobco ensures that lien waivers are obtained because they protect all parties in the project chain, specially the owner. Certificate of Occupancy: Upon completion, Jobco monitors the documents issued by the local government that certifies a newly constructed home or building is in compliance with local building codes, in livable condition, and safe. As-Builts: Construction as-builts are used to show the finished condition of the work as it was actually constructed and accepted. Jobco will oversee obtaining the as-builts from the various trade contactors.